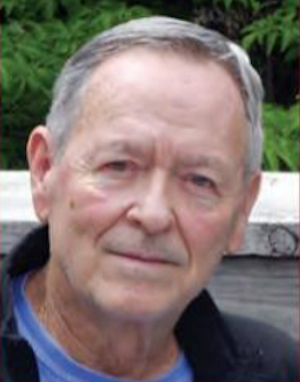 Obituary – Frueh, Forrest Lee « Perry High School Alumni Association, Inc.
﻿Perryscope Staff 56-57, Senior Class Vice-President 56-57, National Honor Society 55-56, National Honor Society Vice-President 56-57, Junior Play 55-56, Class Assemblies 54-56, Band Queen Manager 55-56, Sophomore Class Secretary 54-55, Home Room Treasurer 55-57, Student Council 55-56, All School Revue 55-56. Forrest Lee Frueh, 75, of Norman, was born January 26th, 1939 in Perry, Oklahoma to Everett Taft Frueh and Edna Wakeman Frueh. He passed away March 4th, 2014, of a long illness. 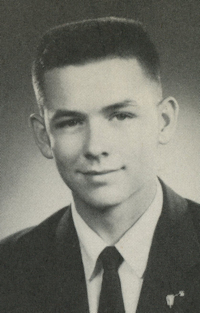 Forrest graduated from Perry high School in 1957. He enjoyed a forty year career at the University of Oklahoma, first as an undergraduate, earning a Bachelor of Science in Accounting in 1962 and a Bachelor of Laws in 1964, then as a graduate student, earning a Juris Doctor in 1970. As a professor, he taught accounting and business law in the College of Business, and was eventually named the Associate Professor of Legal Studies, Division Director and Director of Undergraduate Programs, Associate Dean and Professor Emeritus. He earned many honors and awards during his tenure at OU. He was the second president of the University Club, proud member, faculty advisor and former president of the Sigma Phi Epsilon fraternity, and a life member of the Oklahoma Bar Association. He was also a certified, practicing public accountant for more than forty years. Preceded in death by his parents and former wife Sharon O’Kelley. He is survived by his wife Sue; his son Felton and wife Kerra; his son Jason, wife Kim, their daughter and his granddaughter Faeryn; his stepson Dean Discenza and his wife Pam and their children Peter and Clara; and his stepson Ryan Discenza and his wife Jennifer. Private, family services. In lieu of flowers, contributions may be given in his honor to the Regional Food Bank of Oklahoma, Jesus House OKC, or the Salvation Army.